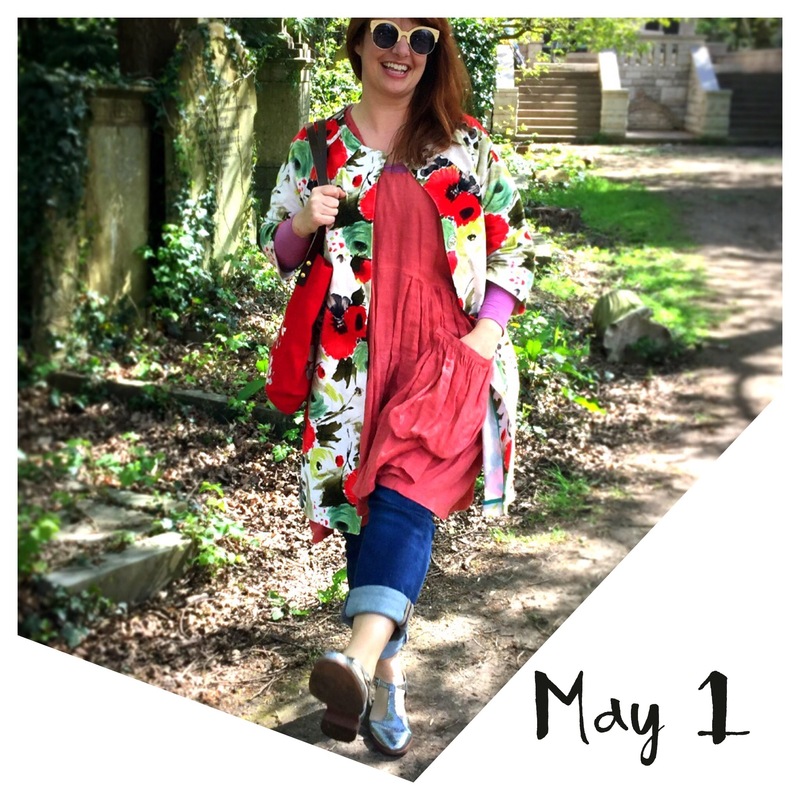 Me Made May’16 is a challenge designed to encourage people who sew/knit/crochet/refashion/upcycle garments for themselves to wear and love them more. The me-made challenge has been taking place for six years. I participated at the tail end of last May but this year I’m going whole hog. Everyone decides what their own challenge will be, so that the month is appropriate and challenging for them. For example, a very common pledge is for a participant to aim to wear one self-stitched or refashioned garment each day of May. Wear something Me Made everyday. Bring into rotation some clothes that I’m not sure suit me or that I feel shy to wear. Find ways to style (or alter) them that make me feel confident. Document everyday of the month with a photo. Although taking pictures of yourself is not necessarily part of the challenge, it’s very important to me. I’m trying to become more comfortable with photos of myself and I want to see lots of photos of other women who are non-models, looking fabulous. 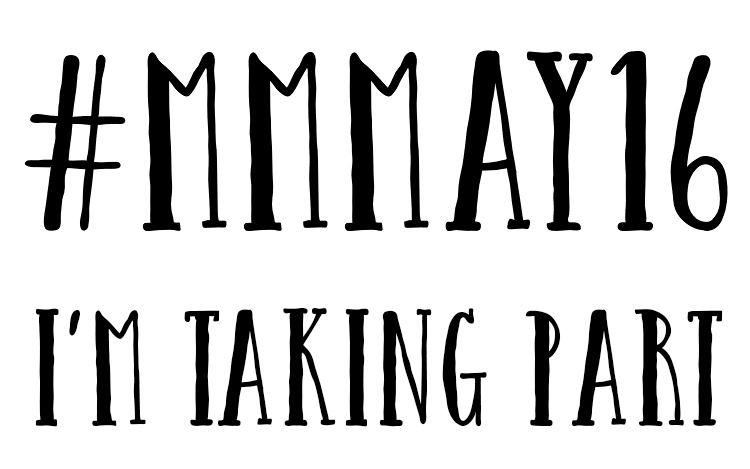 Make new sewing friends and encourage others in their sewing and showing via social media. I plan to be very vocal on Instagram and blogs. No lurking for me. I will try to comment as often as I can. I love the community aspect of making and this challenge. Make 4 new garments for myself. It might be more but I will commit to four. Look for and learn where the holes are in my wardrobe. What would make some items more wearable? Plan to make those things. I’m really looking forward to the month! Here I am kicking it off on the first day of May. My new Pilvi Coat from the Lotta Jansdotter Everyday Style book. A linen Jane dress pattern by Tina Givens. This was cheap £1.99/m linen that I dyed this coral colour. Tina Given’s patterns need a lot of tweaking, they are oddly drafted. But I wear this a lot and I think I need to make another one, without the neck frill and two pockets this time. I have more of this linen in a lupine blue, maybe that would be good. My Tote bag adapted from a Lotta Everyday style pattern. You can get a better look at it here. I love this look! The colour palette is gorgeous. I look forward to seeing your looks and you have inspired me to take more pictures of myself on instagram. Yay Janet! I’ll be looking out for you on instagram! Thank you Ruth! Are you doing Me Made May? Great outfit & such a nice reminder that an active photo is better than the “head on side almost smiley” one I keep repeating. I LOVE “Me made may” and have done it for a few years now. I do find it awkward having my body on Instagram and trying not to be self-conscious about that but it’s such a great service to other sewers out there to see what patterns people are making and wearing and how they are doing that. I often find great things I’d not seen before and its so great when you find someone a similar size and shape and can see what is working on them. I thought I might post a few times instead of every day as I’ve done before, but i think I might just jump in and keep going again. Day 3 and enjoying the ride again. I agree with you that it’s important to put images of ourselves out there when we aren’t very slim or very young. It’s challenging and uncomfortable for me, too, but our demographic needs more representation! I love your outfit photos, and you always look great! Thanks Kim. I was looking for a new hairstyle. Good luck trying to find any pictures of women over 23 when googling hair styles. So frustrating.